Jade Mountain All-inclusive resort is known as St Lucia’s most luxurious resort on the Island. This romantic retreat is located in open views of the Piton peaks and overlooks the Island’s most beautiful beach. The luxurious Jade Mountain All-inclusive Resort is situated right along the shorelines of the Anse Chastanet beach. It is surrounded by lush green mountains and clear blue waters. It is the only resort that has a clear view of the famous St. Lucia pitons floating above the clear blue Caribbean Sea. 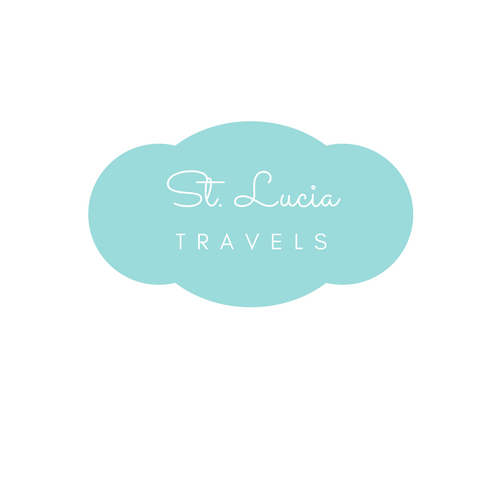 It is known for its architectural design which celebrates St. Lucia’s picturesque beauty. Jade Mountain offers you a once in a lifetime experience with their amazing views, impeccable staff and ongoing activities, you will feel like a celebrity once at the resort. You have so many activities to choose from like snorkeling, sailing, hiking, kayaking and the list goes on. The food from this resort is impeccable. They are all locally grown which gives it that straight from the garden right into your kitchen taste. If you are feeling stressed and need a little break from life itself, this resort is where you need to be. With their world winning spa treatments, Jade Mountain All-inclusive Resort offers you a variety of spa treatments. Starting with the Kai en Ciel (Creole for the house in heaven) they are a range of different massages, couples massage where you get to reconnect with your loved one whiles releasing all the tension and stress of the year. You can also try out their loofah and sea salt body scrub where you exfoliate your skin and improve the circulation in your body. This treatment is best paired up with the Swedish or aromatherapy massage. Looking for a romantic getaway to rekindle the flames, or maybe start up a new flame, then look no further. Jade Mountain has all the necessary tools to fall in love all over again. This resort is the very essence of love itself. The privacy and quietness of their sanctuaries (rooms) are perfect for a couple looking to start all over again. The infinity pools in your rooms give you a chance to be intimate with the privacy of being in your own room. You can also book a couple’s massage right in the comfort of your own room. Didn’t get the chance to get married at Jade Mountain All-inclusive Resort, that’s ok, there is a forever you package to renew your vows. Imagine, that beautiful woman you married over 30 years ago walking up to you looking like the goddess that she is. In this package, you get a choice to choose anywhere on their 600-acre property to show the woman that you love how much you mean to her. It includes a flowered arch, heart-shaped cake, a bottle of champagne, and so much more. You can also add extra features to this package at an extra cost like a couple’s spa treatment or a private champagne and lobster sunset sailing cruise. At Jade Mountain All-inclusive Resort you have a variety of rooms to choose from depending on what excites you. Almost all the room at this resort comes with the infinity pools except for the sky Jacuzzi suite which comes with a two-person Jacuzzi tub. Each room has a panoramic view of the majestic Pitons and the clear blue Caribbean water. Want to know a little more about this heaven on earth, just click right here for some more info. What a great architecture. The ambience is relaxing, this will be my perfect place to unwind. St. Lucia looks gorgeous. It looks like an amazing travel destination. I’ve stopped in St. Lucia on a cruise ship, but haven’t had a chance to stay there! This resorts look so lovely! St.Lucia looks amazing. Everytime I come to this site it makes me want to visit St.Lucia more often. I have always wanted to go to an all-inclusive resort. The problem is they all seem pretty much the same though. But, I will say, this one in particular really stands out! The pictures of the gorgeous scenery and architecture really make it appear drastically different than those all-inclusives you see advertised on tv.